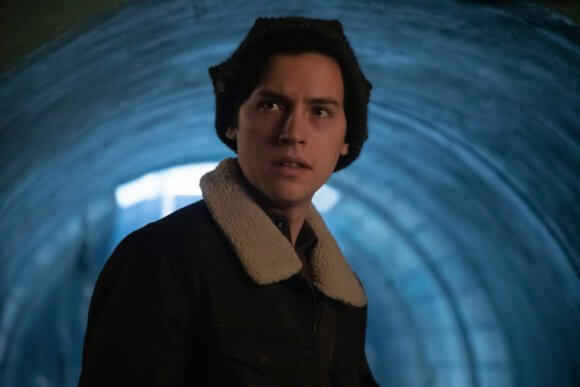 The CW’s Riverdale season three episode 10 answered the question of whether Archie survived the bear attack fairly quickly. Of course he did…but he came back from his near-death experience a changed man. How do we know he’s been altered from his latest brush with death? Because his hair’s darker and the angst-factor has been cranked up to 10. Episode 10 also found Betty reconnecting with her serial killer dad and learning her mom drained her college fund to help The Farm. Tall Boy briefly returned from the dead to masquerade as the Gargoyle King before being accidentally shot dead (for real, this time) by Fangs and Sweet Pea. And, someone shot Hiram. Veronica jumps to the conclusion that Archie might be the shooter, driving the couple further apart. 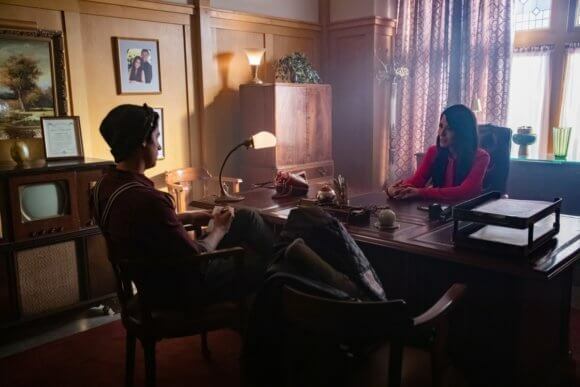 Hiram’s shooting might be the straw that breaks ‘Varchie’s back. The episode ended with the reveal that FP is the new sheriff. Yes, you read that right. FP is the sheriff of Riverdale. Up next, season three episode 11 airing January 30, 2019. The episode titled “The Red Dahlia” was directed by Greg Smith from a script by Devon Turner and Will Ewing. “The Red Dahlia Plot”– KELLY RIPA GUEST STARS AS HIRAM’S MISTRESS — After one of their own becomes the target of an unseen assailant, the gang works together to get to the bottom of Riverdale’s latest mystery. Meanwhile, Betty (Reinhart) works with a surprising ally to piece together clues about a series of deaths in the town. 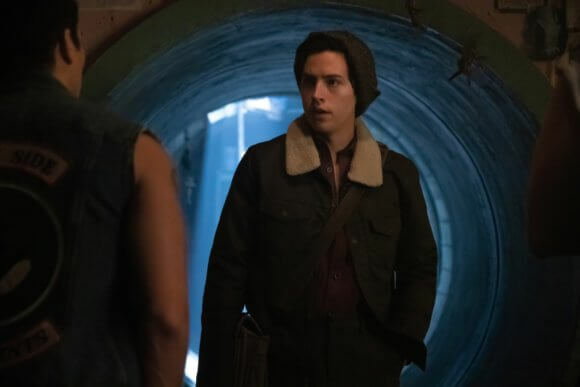 Elsewhere, a spiraling Archie (Apa) sets out on a new path, while Jughead (Sprouse) comes face to face with Ms. Mulwray (guest star Kelly Ripa), Hiram’s (Consuelos) alleged mistress.